Preheat oven to 180degC / gas 4. Sift flour and baking powder together. Cream the butter and sugar. Beat in the eggs, then fold in the flour, dried fruit, peel and ground almonds. Mix in the lemon rind. Spoon into tin (18cm/7″ round tin is about right) and make a hollow in the centre. Bake 20 mins, by which time the cake should be sitting flat. Arrange almonds on top. Bake for another 40 mins. Turn oven down to 160degC / gas 3 and bake for another hour. 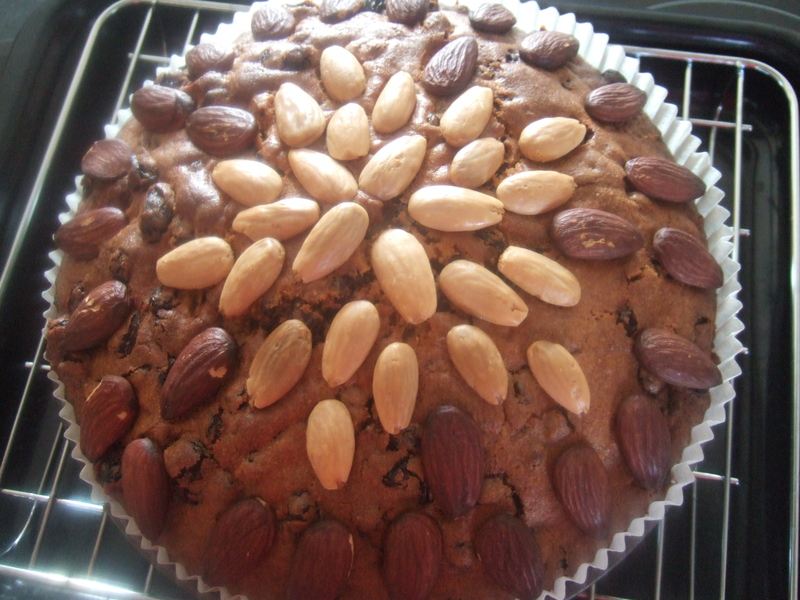 This entry was posted in recipe and tagged almonds, Dundee cake, fruit cake by GrumpyOldTrout. Bookmark the permalink.